Build your own instrument cable! 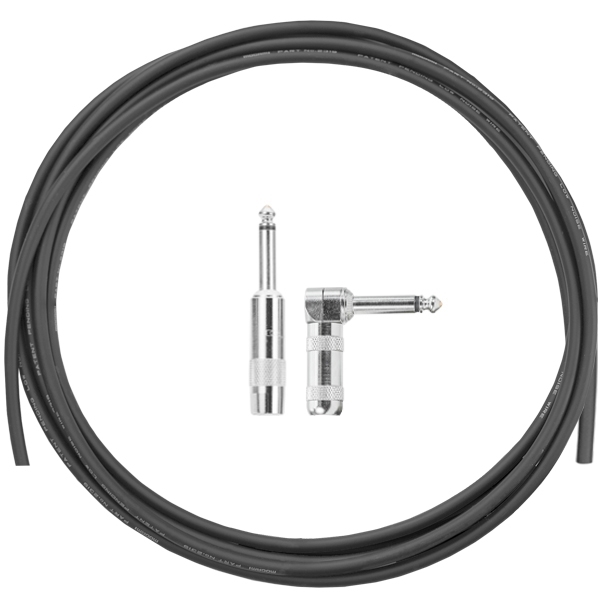 This DIY cable kit comes with the sturdy Mogami 2319 cable in black. Select your cable length, plug color, plug orientation, and heat shrink color, and be on your merry way! Mogami 2319 is thin and flexible, and its simple design makes it easy to work with. It's a great way to take the first step into DIY cabling, and offers incredible value!